When measuring surface defects on large or complex components inspectors are faced with a dilemma. High resolution measurement systems are typically confined to a stand in a metrology lab, making them unable to measure large components. These system are also too susceptible to vibration to be used on a factory floor. Handheld depth gauges afford inspectors more flexibility, but gauges lack the resolution to make repeatable measurements. To overcome this problem inspectors typically employ two methods. First, they can visually compare defects to known standards, which is a fast and simple option. However, this method is neither repeatable nor accurate and it offers little help in measuring defects that cannot be seen directly. 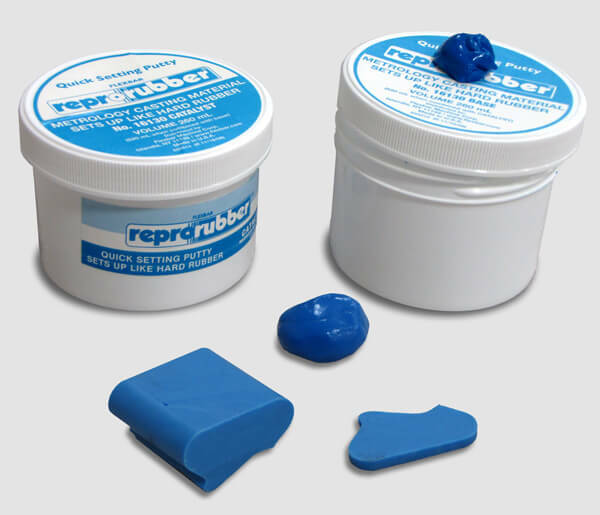 The second method is to create a rubber or silicone replica of the surface to be measured. After curing, the replica can be removed and imaged with an optical comparator, or measured on higher resolution stylus or optical systems. The process is slow, however, taking up to an hour to mix and apply the material, wait for curing, removing the replica and measuring. The lengthy process greatly limits the number of areas that can be inspected. The method is also subject to many variables in how the replica is prepared and measured. Replicating a surface in order to measure its defects is a time-consuming, inaccurate process. The new 4D InSpec Surface Gauge was developed to address the problem of measuring defects on large and complex components in a shop floor environment. The gauge uses a patented optical design that enables non-contact measurement of features from 0.1 to 100 mils deep or tall. Acquisition time is measured in milliseconds, making the gauge immune to vibration and therefore capable of handheld operation. The 4D InSpec unique design allows inspectors to measure defects in corners, on radii, under flanges, and across large surfaces—effectively making replication a thing of the past. A fold mirror attachment allows measurements in extremely narrow areas or inside of bores, where even replication would prove difficult. The 4D InSpec software is able to automatically removed the overall curvature of a surface in order to accurately report the depth, volume and slopes of defects. The software also includes 2D and 3D displays and feature analysis to provide more information on each defect. Where a replica may need to be cross-sectioned in order to measure its interior; with the 4D InSpec, an inspector can simply draw cursors on the touch-screen interface to instantly view a cross-section. 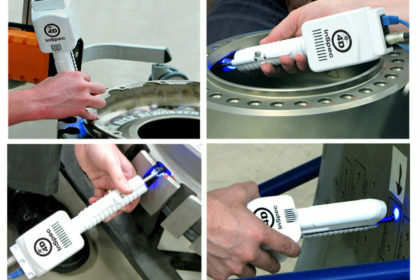 The 4D InSpec can be used with a battery power pack and portable computer station to bring measurement wherever it is required. In a factory setting QC personnel can use the instrument anywhere on the line. In repair facilities it can be used to measure large components in situ, cutting down on handling time and potential handling damage. 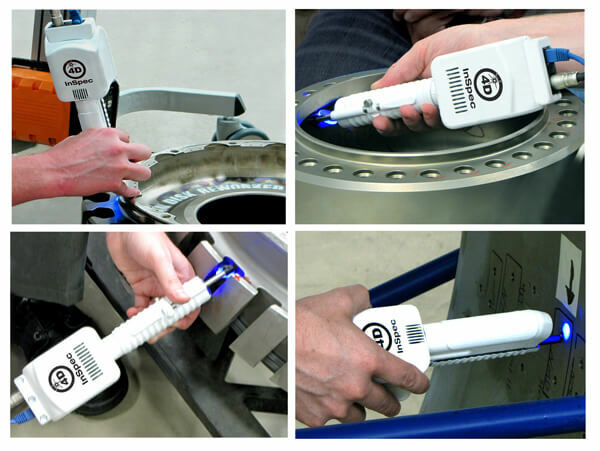 4D InSpec measuring difficult to access areas of an aircraft engine fan disk and casing. By eliminating the need for replication measurement time is reduced from over an hour to less than a minute. Images courtesy StandardAero.